Protect your seagoing business interests or yourself with representation by Richard D Gronna Attorney At Law. Our Honolulu, Hawaii practice also specializes in maritime and admiralty law. Whether you own a shipping company or travel by ship, we make sure that you understand your maritime rights. Admiralty law is a distinct body of law that governs maritime questions and offenses. We deal primarily in cases involving the Jones Act, which controls coastwise trade within the United States, determines which ships may lawfully engage in that trade, and establishes the rules under which they must operate. Generally, the Jones Act prohibits any foreign-built or foreign-flagged vessel from engaging in coastwise trade within the United States. In addition to Jones Act cases, we assist with personal injury claims for longshoremen, seamen, and ship workers. 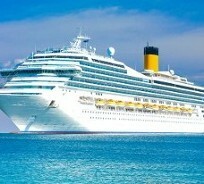 This area of our practice also involves representing passengers who are injured aboard a ship. Contact us for specialized advocacy in cases of maritime and admiralty law.